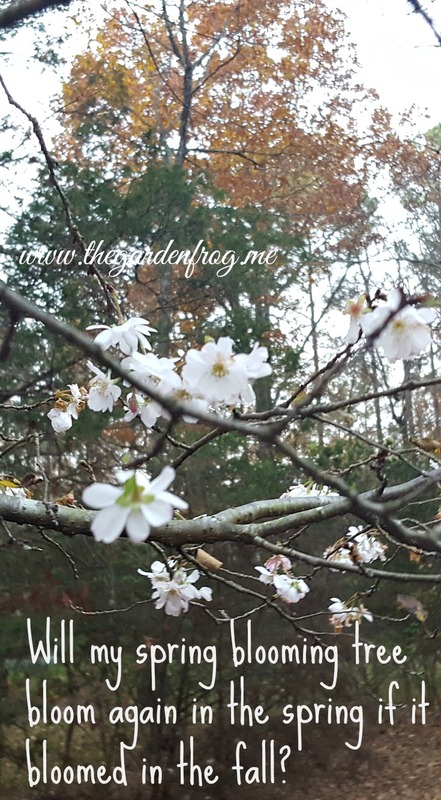 You are here: Home / Gardening Q&A / Will my spring blooming tree bloom again in the spring if it bloomed in the fall? Many times the fall blooming is sporadic and only a few branches. 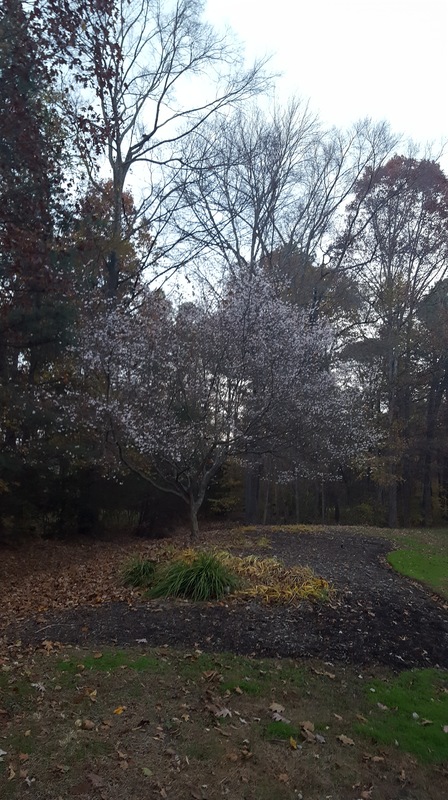 However, I tried to get pictures of this beautiful cherry tree in full FALL bloom. It is probably 20 years old and gorgeous with its white blooms filling each branch and stem. It has been blooming for a couple weeks now. Why? Because back in early fall we had a light frost and a few nights of below average temps (and the leaves fell off and it went dormant) and then we had a week of above average 80 degree days and 60 degree nights. I know there are many people out there who are beginner gardeners or homeowners who may be afraid to ask questions. I know there are those out there who already know the scientific explanation and may cringe at my simplistic answers- but hey this is not for you. I am writing for anyone who just wants a simple answer for their gardening questions. Thanks for stopping by and contact me with any questions so we can garden together learning and making mistakes one season at a time. I welcome any gardening questions so that I can we learn together and I will most likely post it here on the Q & A site.